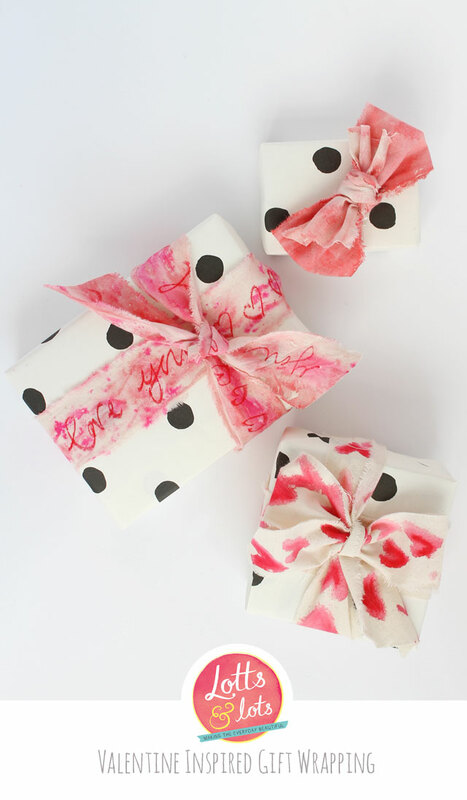 I'm not a huge fan of Valentines day but I am a huge fan of red, pink, hearts and gift wrapping so I couldn't resist a new gift wrapping DIY. As usual I try to utilise regular materials I have in my craft cupboard, this time I have used a simple calico and various inks and pens to design my own ribbon. 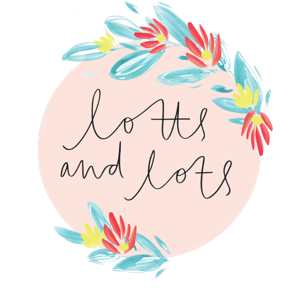 I've been following Katie Leamon on instagram for a while now and was so happy to find her beautiful papers stocked in my favourite shop at home. 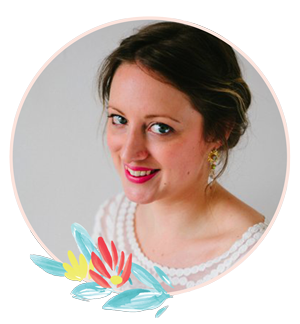 I created these ribbons during nap time so I promise that they don't take too long but are so fun to make. 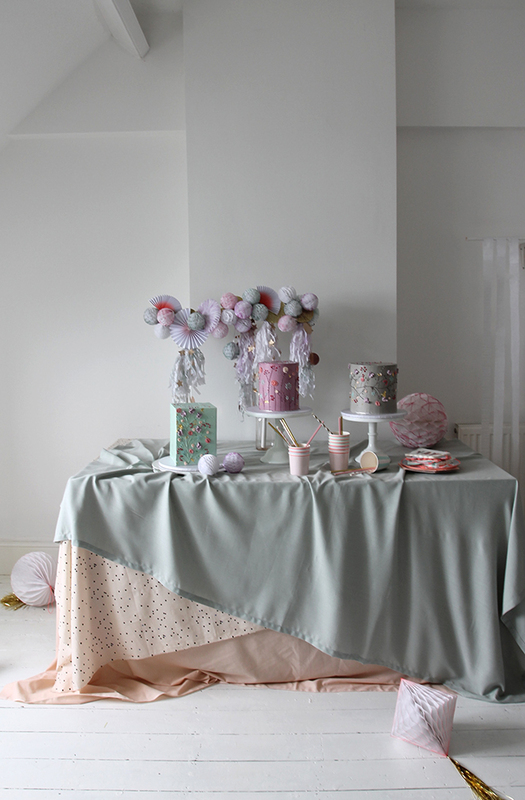 I'm really into making and printing my own fabric at the moment, I love how you can create something truly original. The smell of calico is one of my favourites, it reminds me of being a fashion student and the anticipation of taking a design off the page and into real life. 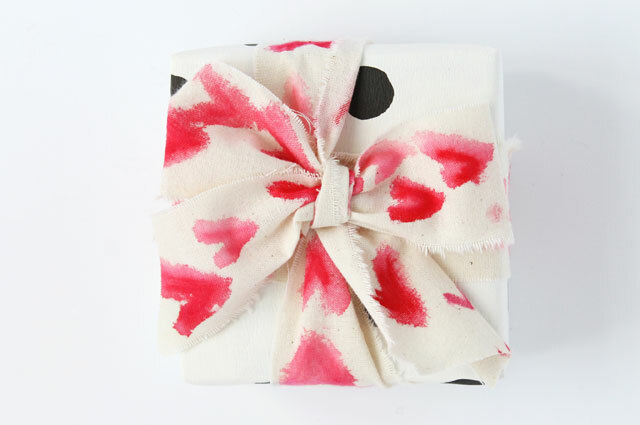 I also love how versatile it is and perfect for gift wrapping. I used a medium weight calico for the base, ripping into stripes to form ribbons. Winsor and Newton calligraphy and regular ink, Tombow pens and Derwent calligraphy pens (these don't seem to be available anymore) but a red fibre tip pen will work instead. 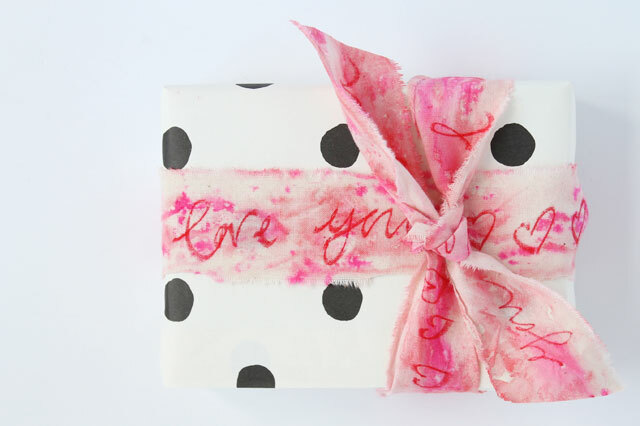 I Love You Ribbon - Damp the calico strip and then splash a mix of watered down calligraphy and pink ink over the fabric. 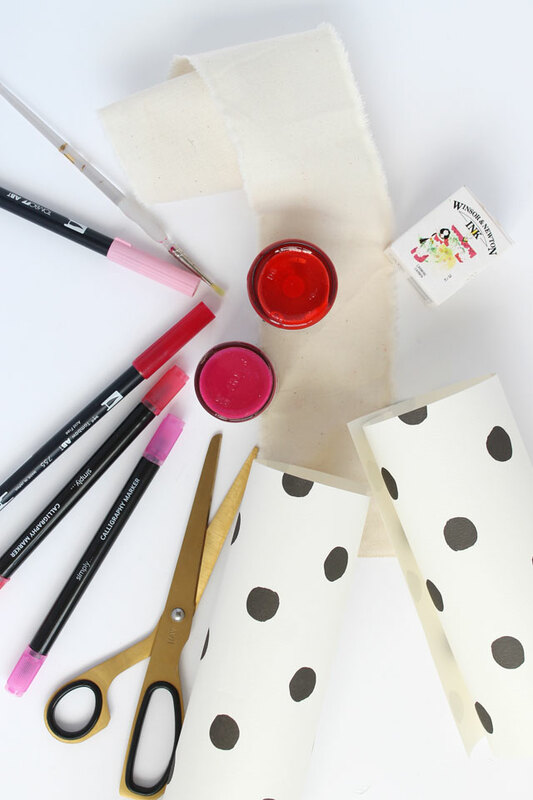 Leave to completely dry and then write your message onto to ribbon using the calligraphy pen. 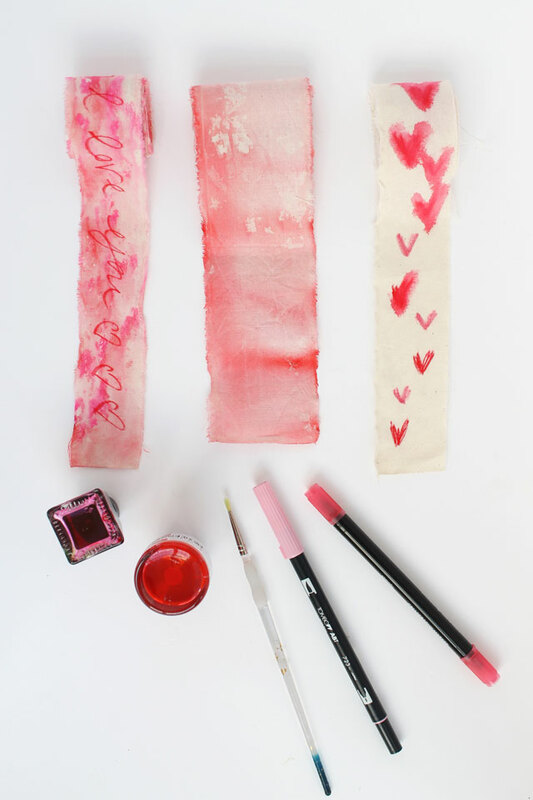 Tie Dye Stripe Ribbon - Damp the calico and then paint watered down calligraphy ink across the fabric. I wanted a really soft look so painted on some watered down bleach to soften the red edges. Leave to dry completely. Watercolour Heart Ribbon - Using Tombow pens colour 755 and 723 draw rough hearts along the length of the fabric (I scribble a 'v' shape). With a wet paint brush paint over the hearts letting the ink bleed out onto the fabric. Leave to dry. 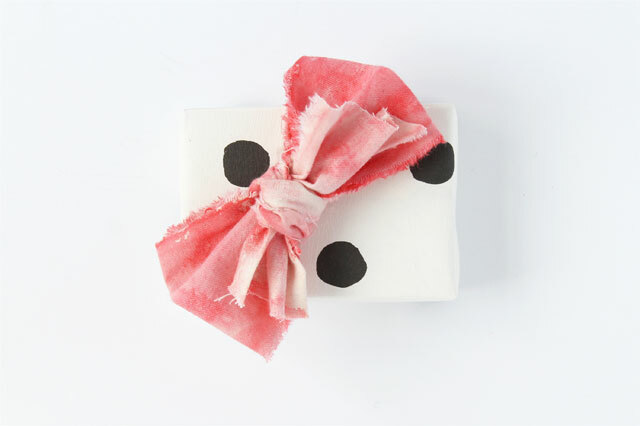 To wrap I made very simple bows and knots which I think contrast beautifully with the graphic paper. I didn't use tags because surely you only have one valentine?! Gorgeous! 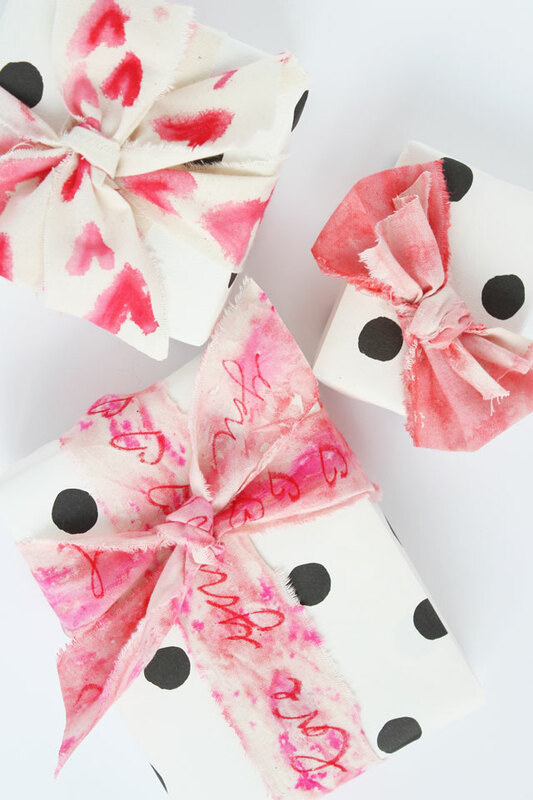 I'm a sucker for creative gift wrapping, and your custom ribbons are just fabulous!